A medium sized banana contains about 27 mg of magnesium...having insufficient amounts of this mineral in the human system can lead to anxiety, depression, and irritability. Eating 3 bananas per day can provide some of the human body's daily requirement of this very important mineral. Dr. Alan Hirsch of Chicago's Smell and Taste Treatment and Research Foundation reports that the bananas can suppress appetite and hunger pangs. His studies indicate that the smell of a banana can dupe the human body into thinking that a meal has been eaten and hunger is eliminated. That's pretty sneaky! Many athletes like bananas and it's no wonder: Bananas are a natural muscle booster and provide the human body with antioxidants as well. Olympic sprinter Yohan Blake is reported to eat sixteen bananas per day. A study at Appalachian State University reports that bananas consumed during exercise closely rival the benefit of sports nutrition drinks in this way. Bananas naturally contain high amounts of iron, an essential element in the formation of the hemoglobin contained in red blood cells. Bananas are easy to digest and help to restore lost minerals after a bout of diarrhea. They are an essential element to the BRAT diet (bananas, rice, applesauce, toast). They are also known to ease strain on the GI tract. Bananas are a good source of potassium, but they contain very little sodium. 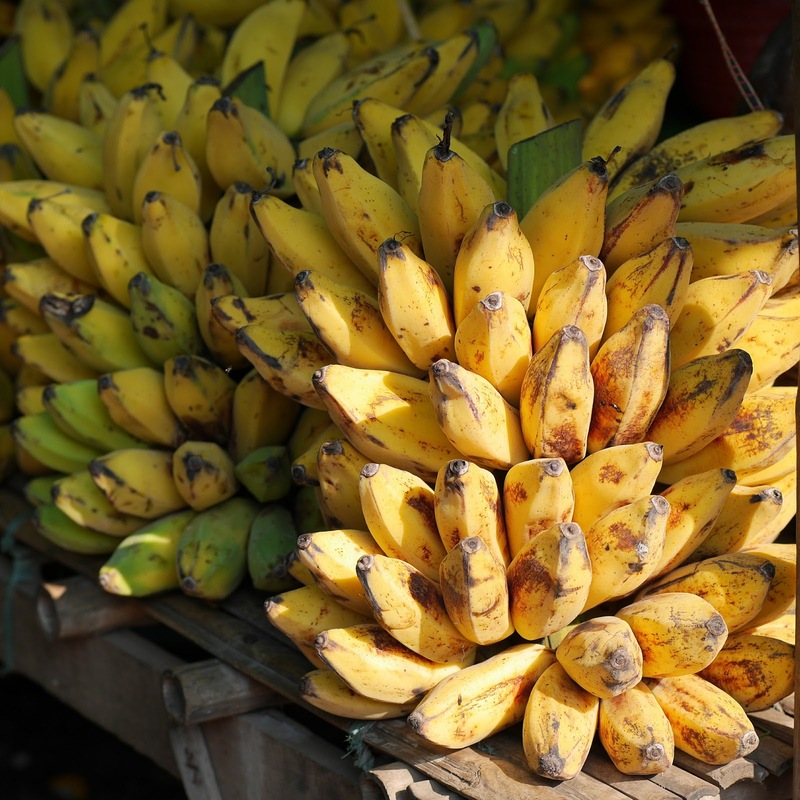 For those who must restrict sodium intake due to heart disease or vascular diseases such as hypertension, bananas are a good food choice! In addition to all the vitamins and minerals contained in the banana, they are also a good source of soluble fiber. High fiber diets are recommended for this with cardiovascular disease. If you are already a banana connoisseur, good for you! Including bananas in the diet can help to prevent heart disease as well!